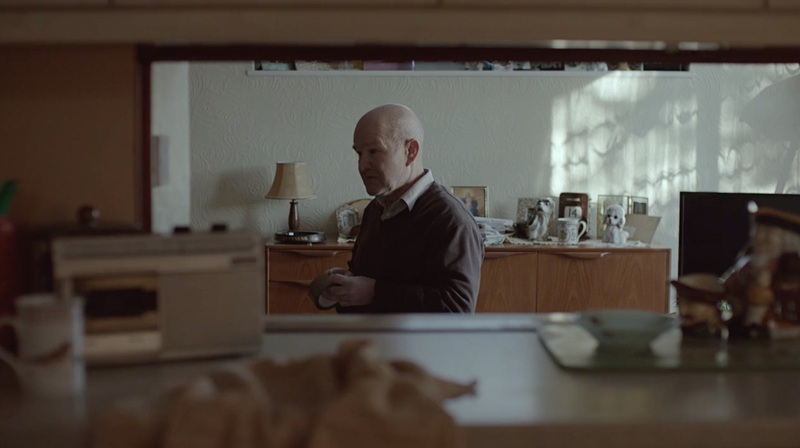 Centred around a father and son coming together to clear a deceased relative’s house, Paul Gay’s deceptively simple short The Removal feels on the surface like a film about grief, but dig a little deeper and you’ll find a moving tale touching on a range of subjects from immigration to parenthood. A ‘two-hander’ featuring impressive performances from Alexander Arnold (who you might recognise from Mickey & Michaela Bury Their Dad) and Richard Graham, this is a short that proves action often speaks louder than words, with the most powerful moments not coming through the dialogue but through the reactions of its talented cast. Losing a relative is one of the most difficult things a person will have to go through in their life, however the strong the bond, but The Removal is a surprisingly uplifting reminder that the most important things we leave behind on this Earth are not possessions, but people. Having reached a milestone birthday recently, whilst I’m not exactly fearing my own life clock is winding down, I am aware that my own parents might not be around for much longer and whilst this is a sobering thought, Gay’s film made me look at the situation from a different perspective. As someone who isn’t religious and has no reason to believe in an afterlife, it’s refreshing to see a story about loss and not feel a sense of impending doom at its conclusion. Instead after watching The Removal I was filled with a sense of gratitude and hope. I was thankful for the relationship I have with my own father (I realise everyone isn’t that lucky) and filled with a sense of optimism for the bond I am still developing with my sons. Shot entirely without camera-movement, The Removal feels like a carefully-considered film that would be easy to dismiss as slight if it wasn’t for the precision in its production. Though we never see the deceased relative in the film, we get a snapshot of his life through the remnants he left behind. The collection of pills in the bathroom suggest his health was deteriorating at the end, the sparse diary paints the portrait of a lonely man, while the collection of trophies suggests a parental pride that contrasts the verbal descriptions given by his family. Just like in life, it’s the little things that can make a difference in filmmaking and in The Removal it’s really what elevates it from mediocre to moving.